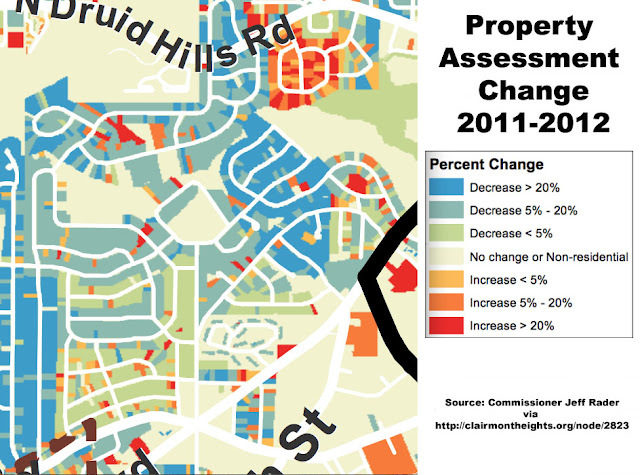 Commissioner Rader shares a map highlighting changes in county residential property assessments for 2011-2012. Visit the CHCA website to view a full-size map and read the rest of Commissioner Rader's statement. This image highlights changes to our neighborhood; see CHCA link for full-size county map.